Alan Hostrup is President and CEO of the YMCA of Metropolitan Los Angeles, the oldest and largest organization serving youth and families in LA. The Y is the largest child-care provider in Los Angeles and one of the highest-impact Y associations in the world. Mr. Hostrup leads a team of nearly 2,500 staff in building the foundations of community through youth development, healthy living, and social responsibility throughout the county. The LA Association raises $16 million annually and operates 26 branches, program centers and 3 resident camps, and deliversprograms across a 100-square-mile radius, including to some of the region’s most vulnerable neighborhoods. With a spectrum of programming addressing the needs of youth and families across the city, each year the LA Ys reach more than 268,000 members and impact more than 500,000 participants – including nearly 100,000 youth – through work both inside and beyond Y facilities. Partners in Y work in LA number in the hundreds and include hospitals, community clinics, universities, community colleges, food banks, school districts, direct social and human service organizations, job training organizations, neighborhood watch groups, and parks and recreation departments. Last year, the Y was onsite at 114 elementary, middle, and high school campuses across Los Angeles, providing licensed child enrichment centers for pre-school and school-aged youth; with Physical Learning Activities for Youth (P.L.A.Y.) – fitness and physical education programs, and with recreation and leadership development opportunities designed especially for area youth. Since assuming the CEO position in 2011, Mr. Hostrup has championed efforts to ensure the groundbreaking of the Anderson Munger Family Y, a comprehensive new facility serving the Wilshire Center/Koreatown area that will impact 25,000 Angelenos annually with programs that support children in need and encourage youth, teens, adults, and families toward personal development and civic engagement. The project will provide 150 construction jobs and 100 Y staff positions. Mr. Hostrup has also launched the first Y Youth Institutes in Los Angeles at the Y’s East and South LA branches, providing tutoring, project-based learning, and creative content skill-building on high-end technologies for more than 700 atrisk high school, middle school and elementary school students annually. Youth Institutes have consistently led alumni to higher education, internships, and careers. Indeed, in Long Beach, where the Institute was developed, the program boasts a 100% high school graduation rate and a 91% college graduation rate. In addition, under Mr. Hostrup’s leadership, the Y’s collaboration with the Knowledge is Power Program (KIPP) charter school expanded from a single, vibrant site of shared resources in East Los Angeles into South Los Angeles, where the Y launched a co-location Y/charter middle-school pilot. Additional KIPP partnerships are in development. Mr. Hostrup previously served as the President and CEO of the YMCA of Greater Long Beach for 10 years, where he oversaw revenue growth of nearly 20 percent. Prior to that, he worked for 25 years in leadership roles within the YMCA of Metropolitan Los Angeles. He currently sits on four non-profit boards and is chairman of the Headington Institute, which serves humanitarian relief workers internationally by providing psychological and faith-based care for traumatized relief workers and missionaries. 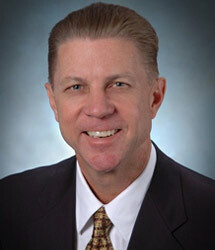 He also serves on the board of the LA Area Chamber of Commerce and is a member of the California Club. Mr. Hostrup grew up in Los Angeles and graduated from University High School and the University of California, Santa Barbara.